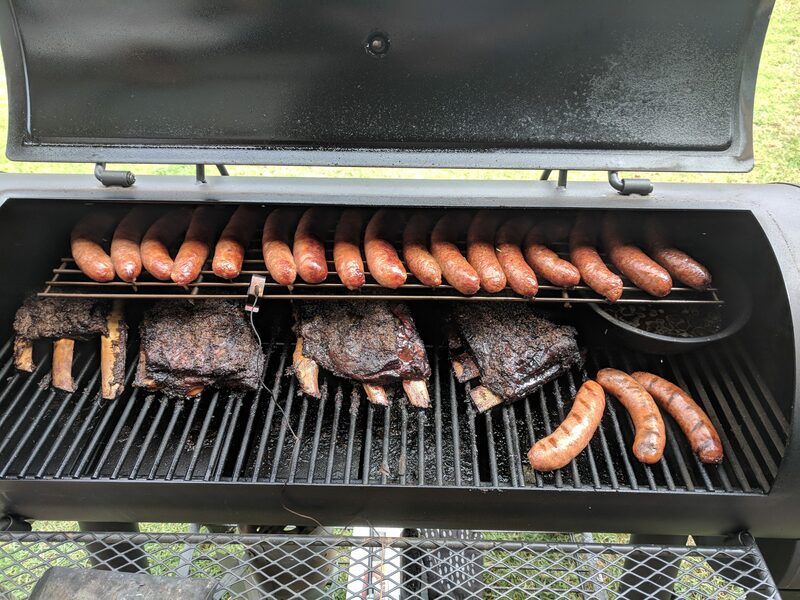 Brisket, beef ribs, and sausages! 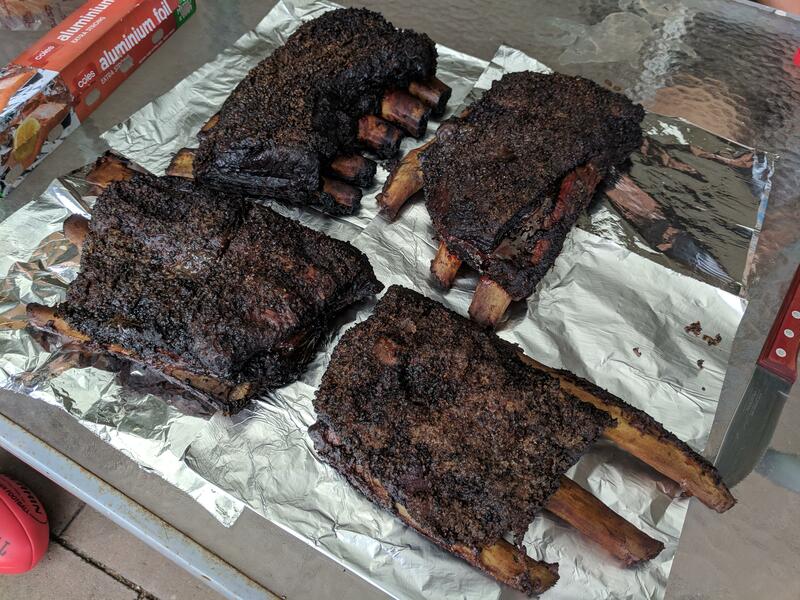 Post subject: Brisket, beef ribs, and sausages! Here are my two most recent cooks on my offset smoker. Happy to listen to praise (of course ) and definitely criticism, as I want to keep on improving. I have been smoking for a few years now and I truly feel more confident with each cook. These ribs were the best thing ive ever cooked. 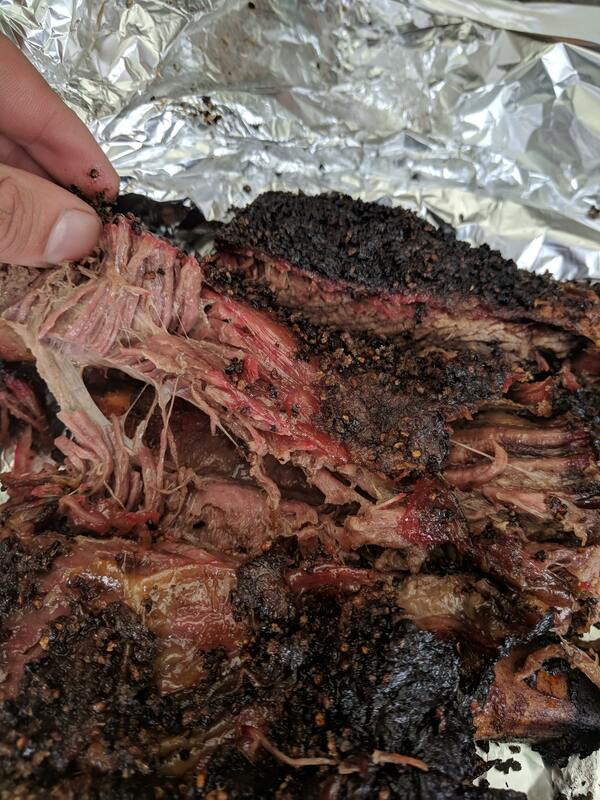 Briskets - Salt and pepper rub. 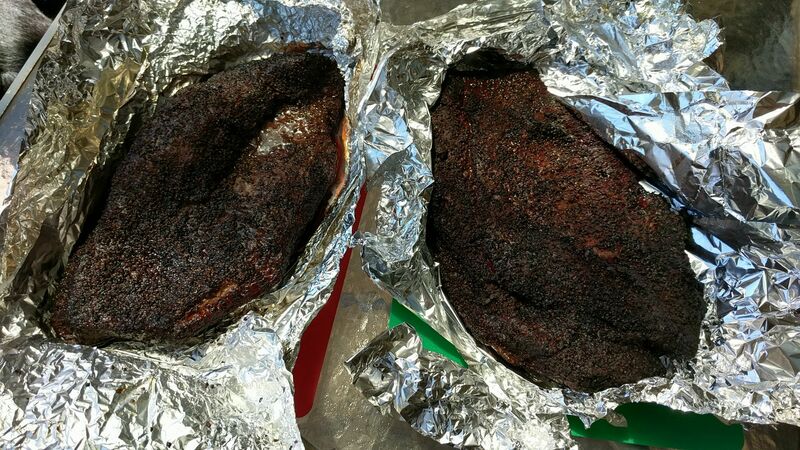 I wrapped one, in foil, at 6.5 hours and left the other one. Had them both on for about 10 hours in total at 250F. The unwrapped one was the better of the two I thought. Just a more intense flavour. 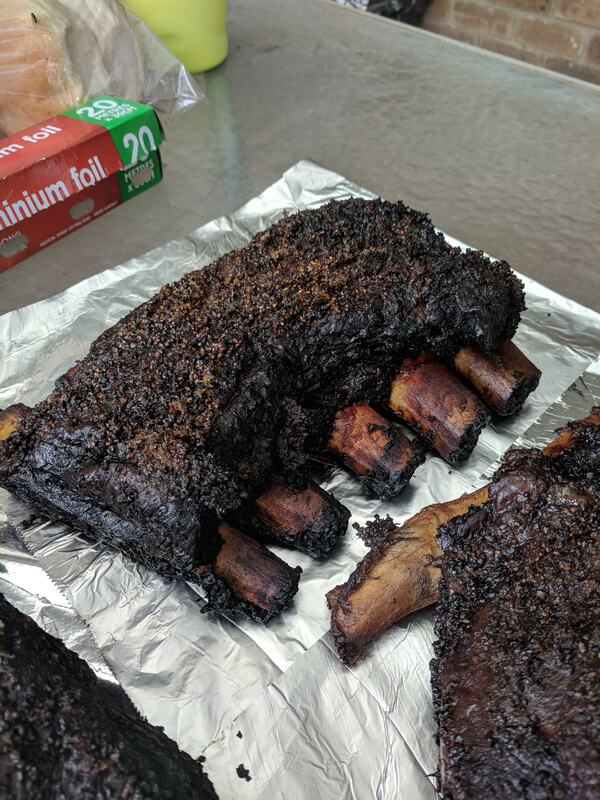 Ribs and snags - Salt and pepper rub on the ribs, cooked for 9 hours at 285F. Snags were lamb, and pork, and cooked at 285 for 1 hour. 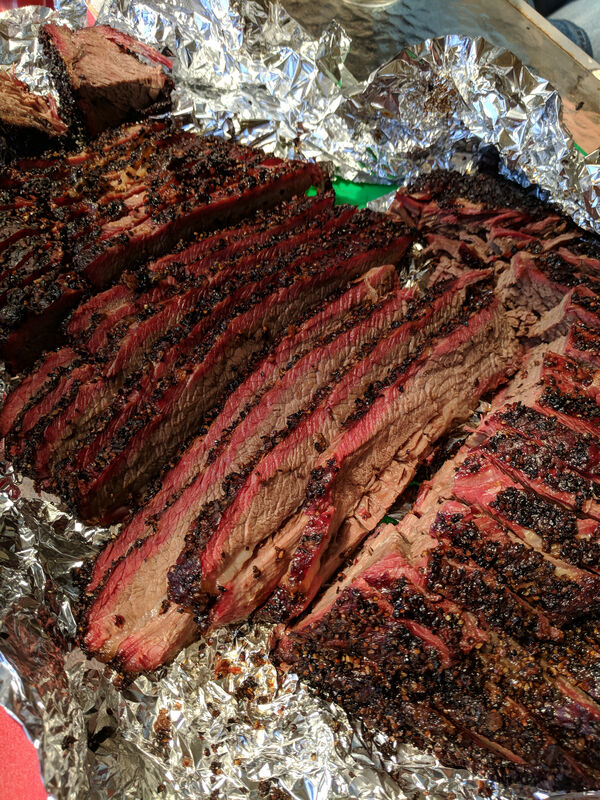 Post subject: Re: Brisket, beef ribs, and sausages! They look great!! My mouth is watering. I’m just about to build my smoker, but I’m trying to learn heaps in advance. I’m trying to find out how to manage the heat/smoke balance. Like, your fire is burning down so you add charcoal or wood, but doesn’t that also increase heat? Will I be slaving over the smoker all day or is it not as hectic as it seems?